Small businesses can use some savvy mobile applications to improve productivity and to reduce their administration costs. If you find it difficult to keep track of your financial incomings and outgoings, PearBudget may be the solution. PearBudget is a fully customisable budgeting and expense tracking service that you run from your phone. It has a set-up wizard that you can get operating in less than 10 minutes. Probably the best thing about it is that it is so straightforward. You can try it for free. (If you want to continue there’s a monthly fee.) You can even export your budget as a CSV file and open it in Excel or other spreadsheet programs. Freshbooks is a great app for the business owner who creates his or her own invoice statements. You can instantly get all of your invoice statements to customers in a timely fashion with Freshbooks. Harvest gives you the ability to track the time that your company has spent on various projects. You can have your employees log their time sheets through Harvest. Harvest is also a great application to use for obtaining professional reports that outline the productivity levels for your company. Anyone who likes to keep meticulous records of time usage for project management purposes will really dig this app. It’s also important to keep track of industry-specific apps that your business can partner with in order to expand the reach of the company. For example, if your business is in the medical or healthcare field, the newest fleet of medicals apps may be just what you need to rope new Cambridge, Sanford Brown graduates or other burgeoning professionals who are interested in creative business integration. Y-Plan London is a free app available for iOS devices – iPhone, iPad and iPod Touch. This app allows individuals to book tickets to events that are happening in London. It helps restaurants, cinemas and other businesses in London to generate more offer deals to the users as well as to sell tickets. The tickets are bought and sold within the app, and bought tickets can be checked at any time. The update for iOS 6 also allows businesses to give out loyalty cards to consumers who buy tickets regularly. 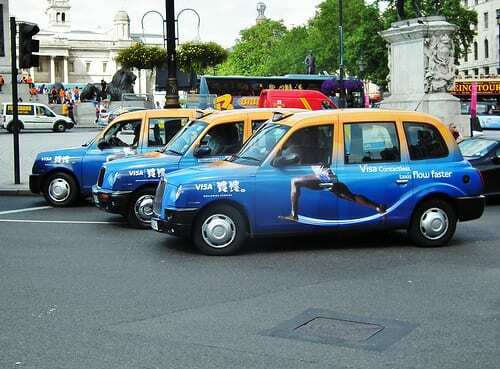 Get Taxi is an app for iPhone, Android and BlackBerry OS that can be used in London. Taxis can be ordered, their progress tracked and the fare can be paid through a credit card, in cash or via a business account without any additional charges. Does ‘work from home’ always spell trouble? Also consider the cloud based time tracking app from Replicon – http://www.replicon.com/time-tracking-softwares.aspx as a tool that raises the productivity at imaginative instances.